Formed from the aggregation of abiotic components, protocells are the precursors to modern living cells. Despite being non-living, protocells display characteristics akin to biological cells. 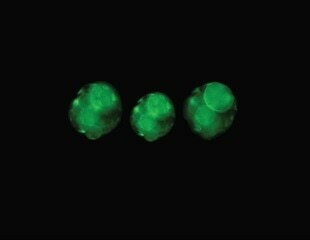 Resident artificial cells shown to leave their protocell hosts when triggered by a chemical signal that causes them to behave antagonistically. Despite herculean efforts, cancer remains a formidable disease, with each malignant subtype responding differently to therapeutics. A Massachusetts General Hospital research team investigating how the earliest stages of life might have developed has discovered a way the first living cells could have met a key challenge -- maintaining a constant internal environment, a process called homeostasis, even when external conditions change. Oncothyreon Inc., a biotechnology company specializing in the development of innovative therapeutic products for the treatment of cancer, today announced that it has acquired Alpine Biosciences, Inc., of Seattle, Washington, a privately held biotechnology company developing protocells, a nanoparticle platform technology designed to enable the targeted delivery of multiple therapeutic agents, including nucleic acids, proteins, peptides and small molecules.